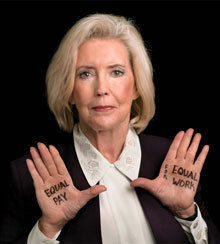 Lilly Ledbetter will present the keynote address at the annual Legal Association for Women Students conference on Feb. 1. Courtesy of Lilly Ledbetter. Emory Law begins 2014 with a series of campus events featuring legal experts in health, finance, and religion—and plaintiff Lilly Ledbetter, whose pursuit of equal treatment resulted in a watershed change in federal law. The one-day symposium explains how the Food and Drug Administration and the Centers for Disease Control and Prevention work together on food and drug law issues—from outbreaks of food-borne illness to approval of in vitro diagnostic devices. It is designed for those who work within or regulate the drug, biologics, food and medical devices industries, as well as attorneys, students and academics. More than 20 experts are scheduled to participate, including scientists, physicians, attorneys and directors from both agencies. James Curran, M.D., dean of Rollins School of Public Health, will moderate one session and Emory Law Vice Dean Robert Ahdieh and professor Polly Price are also speakers. The 18th annual awards ceremony honors exemplary public interest work by members of the local legal community. The event is also a major fundraiser for the Emory Public Interest Committee’s summer grant program, which funds otherwise unpaid public interest jobs for Emory Law students. Last year, 36 students received stipends and spent the summer working for organizations ranging from the U.S. Justice Department’s Antitrust Division to environmental nonprofits.